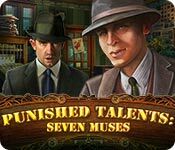 Punished Talents: Seven Muses is rated 4.2 out of 5 by 26. Rated 5 out of 5 by missy1019 from One of the best games I've played.. I played the CE version and frankly, this is one of the best games on here that I've played. It's like an old Sherlock Holmes mystery novel brought to life! Terrific games and graphics and it wasn't too short but kept going and kept you on the edge of your seat. I loved it! I highly recommend! Rated 4 out of 5 by roaming from Round Two I bought Seven Muses when it came out in 2013 and decided to play it again this evening. I even checked in the Forums to see if I'd reviewed it back then. (Thank you, BFG, for keeping those old Forums available!) Anyway, here's an except from my original review. "I wish we had more games like this one. It has all the elements -- interesting story, great artwork and voice-overs, a jump map that indicates where there is something to do, directional hints instead of the dreaded "nothing to do here," and it held my interest all the way through." I could have also mentioned that it has a custom option with the ability to set hints and skips to 15 seconds, something that was fairly unusual for its time. However, if I were reviewing it for the first time now, I would probably have to add that, like in so many HO games, I found having to run back and forth collecting objects and solving puzzles before you're able to rescue someone from certain, immanent death to be preposterous and irritating. That point aside, I wish more of the games coming out now had the beautiful, clear graphics of this older game. Rated 4 out of 5 by KleoBeBe from I really liked this game! I thought the characters were interesting. The game play was fun, not too challenging though. I loved the music in the background, it was subtle and nice to listen to. I sometimes miss the old style like this game. I am not a big fan of HOPs but I breezed right through them in this game. Very enjoyable! Rated 4 out of 5 by bwana217 from A good game, but buggy This game has an unusual and refreshing storyline and environment, a nice change from the usual princess and sorcery stuff. However, it has bugs in it. At some point, the location graph became corrupted. This would only have been unpleasant, but it also caused the hint navigation to give false readings. Also, at one point, it failed to find a vertex animation file. This is on the demo Mac version. Rated 4 out of 5 by catbag8717 from A Great Murder Mystery With Some Serious Gameplay Flaws. BASED ON COMPLETED STANDARD EDITION GAME Everyone knows I'm a sucker for murder mysteries, so as soon as I played the demo, I just had to have this one. While it's not a fantastic game, I did enjoy watching the story unfold. The story was everything a murder mystery should be: saving lives, entering crime scenes, multiple suspects, heaps of twists and turns, etc. Blam did a great job of doing the basics of a murder mystery. The content of the story was good too. It started with a bang (literally), and went up from there. It was full of us saving victims. What I especially liked about this was the way they were being killed. It was very clever and different from the norm. The demo ended with a spectacular twist, one that I wasn't expecting and one the game gave no indication of happening. The story continued well from the cut off-point and followed the lines of a murder mystery well. Suspects were ruled out, new evidence was found, new people were saved, and we got closer and closer to the mystery... The story itself ended well. Everything was conclusive and everything ended the way it should in terms of a murder mystery. This storyline was almost perfect, save for two errors: 1) I picked out the murderer about halfway through the game. This was a real shame for me. The real key to an exciting story in this genre is to keep the reader/player guessing. Figuring out the murderer halfway through was a real bummer. It took away from the suspense of the game. A tip for next time would be to pick someone who is NOT so obvious. There were a few characters in there I didn't suspect once, so they would've been good choices. 2) Some things happened in the game that just weren't logical at all. For example, after you were arrested, the police officer just left you alone in the cell with no other cops around. This would NEVER happen in real life and made the story far less believable. RESEARCH is the key. If Blam had have done a little more research, this would've been left out. Overall, save for those two mistakes, a decent story with many exciting twists. I especially liked the ending. One major flaw in this game is the gameplay. It was nothing new. There were no new features, fancy puzzles, fancy HOS, animal helpers, no nothing. This decreased the fun factor dramatically. The HOS were good, but as I said, were nothing new. They were the standard junkpile HOS with a few extra-step objects. Nothing fancy. The puzzles were also nice to attempt, but again, they were nothing new. I've seen them all before. Experienced players would have noted this. I thought the puzzles were a bit too hard for me, as I had to skip most of them. Overall, I thought the ratio of HOS-Puzzles was good, but I have one complaint. My pet peeve in a HOPA is when developers pile on the HOS towards the end. Blam has done so here. In the closing stages of the game, there was a HOS every 1-2 scenes. I would just finish one, go to the scene with the next active task, complete it, and then another HOS would appear! Don't get me wrong, I love HOS, but that was just too many at once! This is basically your average HOPA. Nothing fancy about it. I think where Blam could really improve on their next game is making their games more enjoyable. It's all well and good to have a great story, but great ganeplay would have made this game almost perfect. I'd definitely recommend this to beginners to start out. Advanced or Expert players may find this game tiring. It's just my opinion, but I think a game with just HOS, puzzles and adventure is starting to get out-dated. I think Blam need to do some serious work on their next game. The graphics were good. They were clear and drawn with some good detail. The character designs were good. Blam did a great job with moving the lips in time. The voice-overs were standard. I have no issue. FEATURES 3 modes of difficulty: Casual, Advanced, Hard. Differences are hint/skip charge times, sparkles, etc. I played Casual. Hint/Skip- both recharged at a reasonable rate for the difficulty and the hint is helpful outside HOS. Diary- keeps track of events. There is also something called “Russell's book”,which keeps all of the book pages found. Map- Interactive and helpful. Lets you know where you have tasks to complete, but not necessarily your next task. There is an option to turn off the interactive map in the main menu. WHAT DO I MISS OUT ON IF I BUY THE SE? Bonus Chapter- not needed. Game ends conclusively. Built-in Strategy Guide. Would be useful for puzzles. Wallpapers Music Concept Art Achievements Microscope Re-watch cutscenes Replay HOS & Puzzles WHICH IS THE BETTER BUY? Definitely the SE. The CE was not worth it. There were no appealing extras and the game ended conclusively, so why bother spending the price of 2 SE games on the CE? Overall, this was a nice game. It was good, but it was definitely far from amazing. Players will love this game for its story as I did. The gameplay is a major flaw and seriously needs to be worked on for future games from this developer, otherwise they will lose some gamers. Rated 4 out of 5 by RevKellie from Game outlasted the story - but it was a good one. I enjoyed this HOG more than I expected to like it. The graphics are good but not great, and the story is fantastic. It plays like an old Murder, She Wrote or Matlock episode - murders, suspects and a need to find answers fast. Good fun. Pros: Map takes you around the city and lets you know when something can be done in that location. (Critical cause there's a lot of "back and forth"). Voice overs and cut scenes are well done, even though the graphics have that "heavy breather" look. Items are intuitive and the HOG's are interesting if not challenging. Minigames: Easy to Med, varied, some a little redundant but not bad. Cons: The story is great - but as you close in the end - the game degenerates into a "go here, get this, take it there, use this" kind of sequence. It plays like they made the story too short so they just elongated the game play at the end. The "Why" isn't sufficiently wrapped up either - but there is a nice sequel seed for a second try. Good little game, wish it had better pacing. 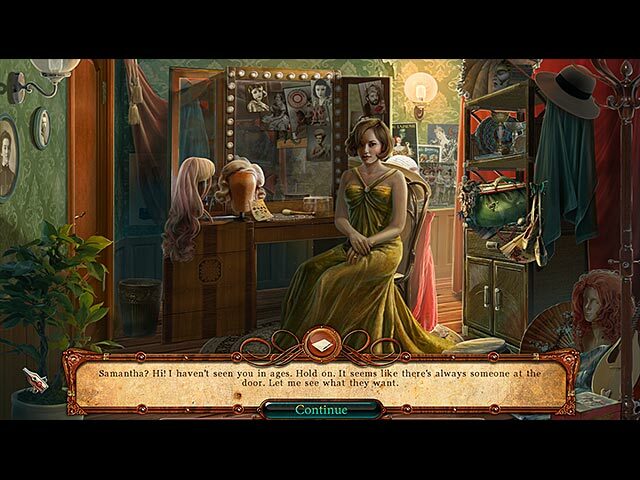 Rated 4 out of 5 by carb7250 from Good Game Fun game with good hidden object scenes. Cool story too. Rated 4 out of 5 by LunaNik from Solid storyline, good gameplay Punished Talents: Seven Muses Developed by Blam! Games Standard Edition Review based on full game IN THE BEGINNING... Your talented friends are being murdered one by one, and the murder scenes come straight from the pages of your husband's novels! Even worse, evidence from the crime scenes points to him as the leading suspect. Now you must clear your husband's name, save your remaining friends, and identify the real murderer. Explore Boston in the 1930s to solve this murder mystery. PLAY THE GAME... There's a lot to accomplish and many areas to explore, but the navigation is so well done that you almost don't need the map. This is a rather HO-heavy game, especially in the latter half, but they're all interactive. Puzzles are about half and half familiar and unique. None are overly difficult, but several were lacking in the instruction department. SIGHTSEEING… Scene graphics beautifully depict the era, while the HO scenes are well-rendered, objects clearly recognizable. In-game animation is smooth and realistic. Character animation is quite well done, with the exception of close-up hand movements (such as piano-playing and typing). SOUND WAVES… The music was nicely unobtrusive, although a touch repetitive. It did help with immersion. Voiceovers were professional and reflected the time period well. TOOLBOX… The map indicates where actions are available (not just objectives) and is a jump map. The journal notes clues and narrates the storyline. Inventory is lockable and, best of all, when you click the left/right arrows, it goes all the way to the beginning/end of your inventory, rather than simply moving one item at a time. THE LAST WORD… The storyline was engaging, gameplay was fun, and the sights and sounds were excellent. Yet a couple things kept this from being a five-star game for me. There was one period in the game where I hit nothing but HOs every few seconds. That got irritating and detracted from immersion into the story. I also found the detective's character totally unnecessary, being as the author's wife did all the work. He seemed to give advice she didn't need, take credit for her work, and magically offer just what she needed at the right time. If you're going to have a heroine, don't have a cardboard male character to prop her up unnecessarily. That having been said, I do still recommend this game and I found the quality of gameplay quite good and the storyline well presented. Rated 4 out of 5 by jmcbeauty from The Seven Muses Move Me Played the demo for the CE and the SE. Found that I didn't really miss the hidden symbols or the achievements. The game was crystal clear, the voice overs were very well done, the hos were a little junky, and the mini games were not overly difficult. The music was not annoying and left it on the whole demo. The map was helpful at where there were things to be done, but forgot to check if it was interactive. The cutscene at the beginning of the game begins with a concert pianist being shot while he is onstage performing. As the game begins, the police come to the door of your new home and want to talk to your husband, as he is the main suspect. As he takes off, you learn it is up to you to find the true killer. Is it the journalist or the theatre hand, or is it some else. You help save the life of your friend, Robert who is a private detective and you arrive just in time to save the life of the sculptor. Can you find the killer in time? The game was well done and I thoroughly enjoyed it. Try it out for yourself to find if you like it though, as some people prefer CEs (myself included) but this is a really nice little SE. Rated 4 out of 5 by biscuitsmama from An Enjoyable Whodunit Mystery The game starts off with a bang as we witness the murder of a concert pianist. As we get into the story the police arrive at your new home to speak with your husband Russell, a renowned novelist, who was a friend to the pianist and two other recent murder victims. Is this just a coincidence, or is Russell being set up? As the body count rises, can you figure out if Russell is innocent or is there something deeper to the mystery? 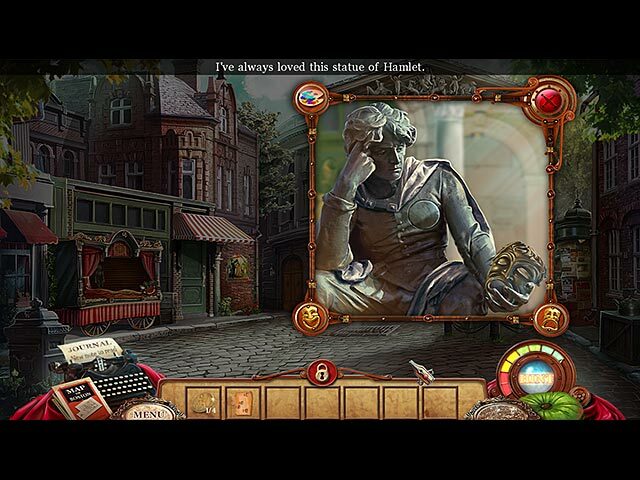 The graphics are very nice hand-drawn art and have a bit of the old-world appearance. 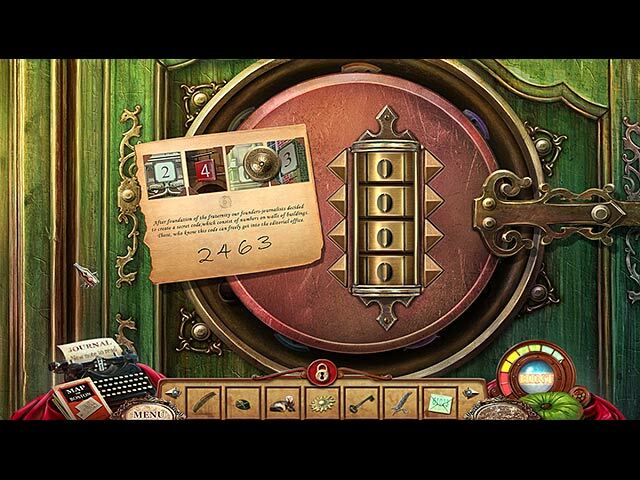 The game has very good lip-synced voiceovers, and the music along with the environmental sounds set the mood for a good old-fashioned mystery game. You have a journal that contains all the information you gather on your adventure and you also have a transporter type map. The HOPs are for the most part the interactive list type and most of them were junkpiles so I did find it difficult to locate some items. There are some great puzzles in the game and although some of them seem to be familiar many of them are a bit different and challenging. I purchased the CE version of Punished Talents and really liked the game a lot. It was a good mystery adventure and next moves were not always apparent. Because this is a game where you will need to think about what to do next, it makes the game a bit more challenging and entertaining. Throw in the puzzles and you have a really good game. Of course many of you may think it is the same old theme but I found it different enough that it wasn’t stale or boring. Who can help enjoying a good whodunit mystery? As always, I recommend that you try the demo to see if Punished Talents is a game that you will enjoy. Rated 4 out of 5 by sfr8rfan from The game is NOT punishment. But, do you want it in CE or SE format? This review is based on playing the complete game (both standard and with bonus material). Some games are driven by the story, others by HOGs and Puzzles and the storyline only provides a structure for the HOGs and Puzzles. This game is storyline driven. Fun Factor: I liked the story quite a bit and this game was a lot of fun for me. I think you'll enjoy it also. Read on...you'll see why I liked it... Visual/Sound Quality Visuals: The characters are comic strip characters come to life. I mean this as a big compliment. Visually the game is stunning, I think. It's set in Chicago in the 30s and I swear you'll feel like that's exactly where you are. Sound Quality: The game is story driven and music is a huge part of that: it helps set the mood, let's you know when something urgent is happening, can raise your heartbeat a bit, or can slow you down. Basically, the music, if well done, tells you how to feel about what's happening.. The music in Punished Talents is superb. Visuals and sound come together in lip synching and script. From the very beginning the voice overs are exceptional. The cops you meet in the first scene seem straight from the Chicago PD. They're Irish with brogues and the lip synching is dead on. Later on you meet other characters and when there is lip synching it's very good. Note that not every character scene is lip synched. Level of Challenge: HOGs: The HOGs are pretty standard. They are well-drawn and items are well-hidden but present no extraordinary challenge. There are around 20-25 HOGs. Mini-Games: First off, there are not enough puzzles (I like puzzles and I think there are only around 10-12. Second, while a few of them present a new take on old games, there isn't one puzzle that I remember being completely new. The puzzles also present no great challenge. Storyline: This is where the game really thrives. In the first person you are the wife of an author who's being sought by police. Several murders or near murders are taking place in Chicago and the victims and the ways they are victimized are detailed in the books your husband has written. You also are privy to a book about to come out so you are onto some other would-be crimes before the police. By the end of the game you've solved the mystery. The games title is a reference to the talents of the victims...a concert pianist, a sculptor, an actress, etc. So the question you have to answer is, do you spend extra money and buy the CE or do go with the much less expensive SE? With the SE you get the basic game, 4 modes of play (the 4th mode is a custom mode) and a map. For the extra money of a CE you get: a. A bonus game (a nice long bonus chapter) b. The standard "who cares" assortment of Wallpaper, music, re-playable games, videos, concept art. c. Achievements d. An integrated strategy guide. e. Two collectibles: one is intrinsic to the game (finding fingerprints: 40) the other is not (find teapots...I dunno may be they drank a lot of tea in Chicago in the 30s..but, yes, finding teapots: 25). As I said, I think this game is story driven, so the value in the Collector's Edition is the bonus gameplay. The additional puzzles and HOGs are not important. Even though the Bonus gameplay is lengthy and fun, I don't think it's a value. I recommend taking advantage of the Special Edition, especially if you have a coupon or if it's on sale. I don't think the CE is really worth it. Having said all this, I do recommend the game. I absolutely think it's a lot of fun based on the story line alone. Rated 3 out of 5 by lvbrule from A little boring I was a little disappointed in this CE. I used credits so I did get it. The graphics are nice and clear and the puzzles are a good variety but the story was a "yawner" imho. I usually do a demo first but this time I didnt, so I'm recommending that others do the demo. Every player has different likes. Rated 3 out of 5 by woodspinner from OK game but way too short This game was fine. Art was good, HOs were fine and the games were decent. But this is the second game I've reviewed lately which was way shorter than the norm. Hope this isn't a trend. I got to the dressing room in 43 minutes which means I got through 38% of the game in one hour. That's not even a 2 1/2 hour game for me and I won't buy anything that's over so quickly. Might be fine for a DD, but not at full price. Rated 2 out of 5 by MeOldMate from Throw real world logic out of the window, then you're fine Although the gameplay is ok and navigation not bad, the game had me complaining at it in sheer annoyance. So many times one ended up doing things that would simply never work(and no one thinks a bomb works like that!) It marred the whole game which I had bought having read the reviews and seen a high rating. This doesn't say much for the competition! Rated 2 out of 5 by vernete from Back n forth, over nd over... can't say i thought much of this one. too much back tracking to get an item to use in another room, then back through the house to find something else to take back to a room to use, before leaving again to find another item...over nd over, nd over again. the hog's weren't clear when you needed to find items that went with the items in the bar... you see a pallete, you need to click the paintbrush in the scene... or maybe you have to put a ribbon with a pair of scissors...doesn't make sense until the hint button shows you what to put the ribbon with. i used the hint button a lot. there is no map, so you have to do the 'back n forth' over nd over, without any guide to where or why. it was okay for a free demo, but i wouldn't buy it.